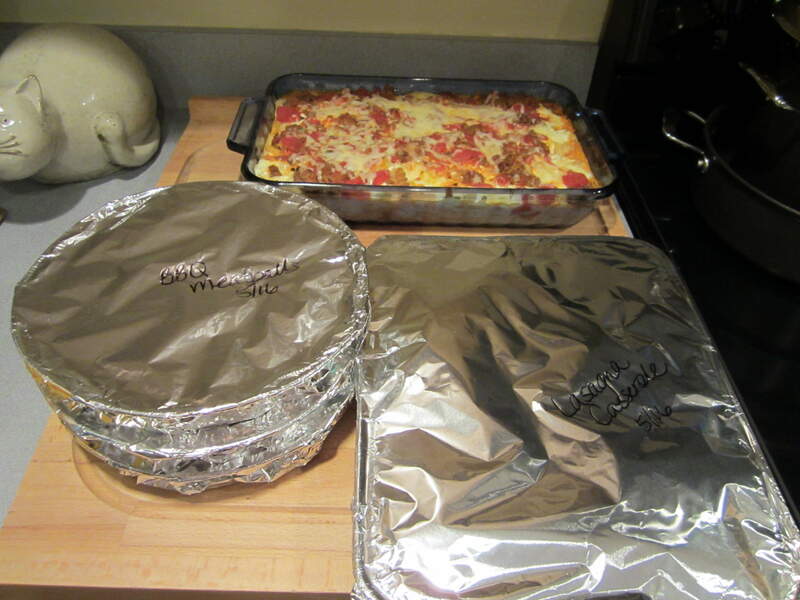 Today’s freezer cooking assignment over at Money Saving Mom was Lasagna Casserole. It was such a surprise to me that she chose this recipe, because I had already put it on my menu for this week last Sunday! For some reason, I had 3 half-full boxes of pasta in the cupboard, so even though they were different shapes, I just combined them all together for this dish. I don’t think anyone in the family even noticed….hee hee! 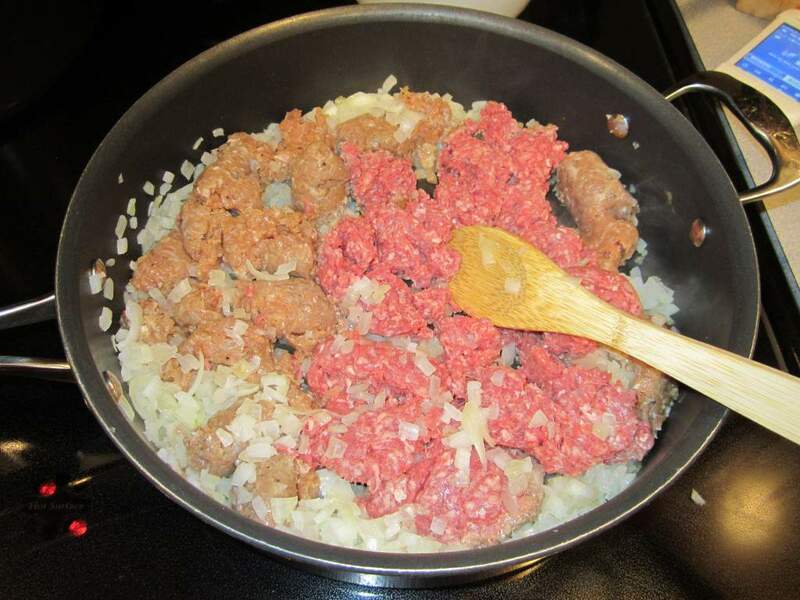 While the pasta cooked, I browned up 1 pound of Italian turkey sausage and 1 pound of hamburger with 2 chopped onions. 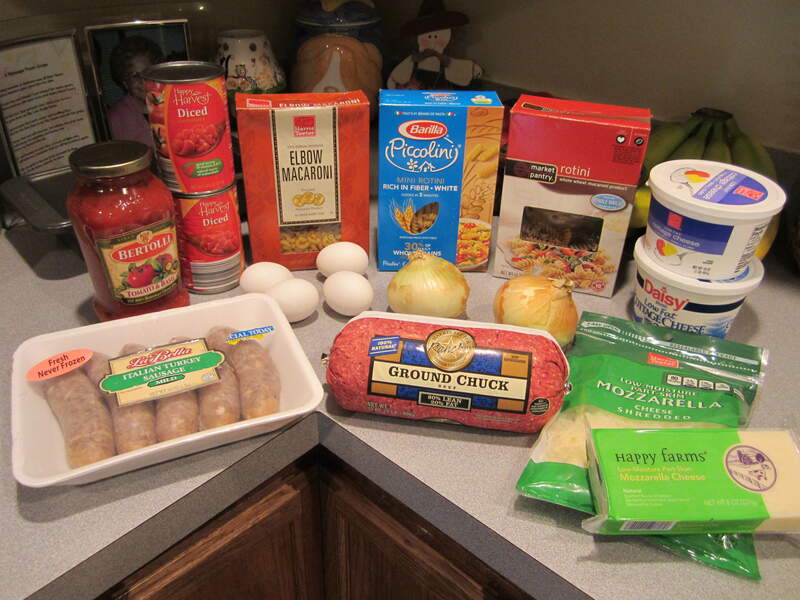 I usually like all Italian sausage in our lasagna casserole (Johnsonville is our favorite! ), but since I had some extra hamburger from the Barbecued Meatballs, I used that as well. 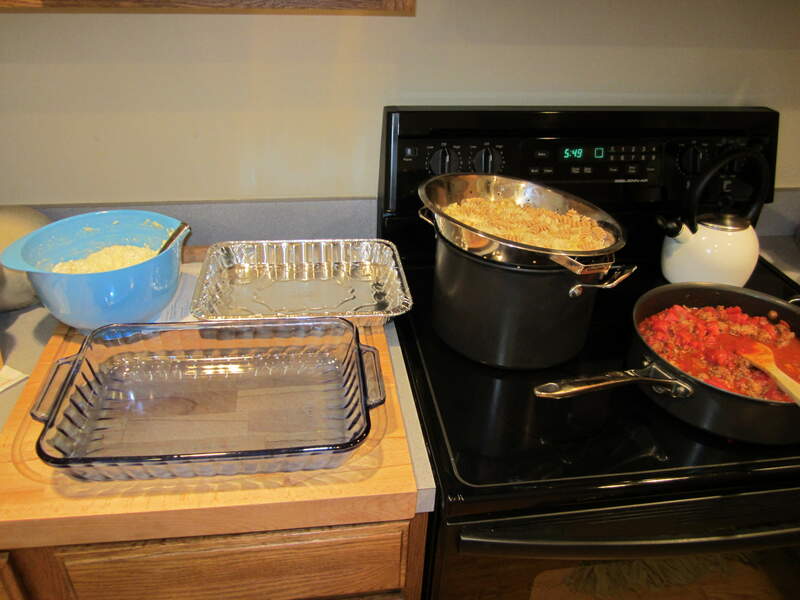 When the sauce and pasta was done, I set up a little assembly line with my cheese mixture, pans, pasta and sauce. This made putting the lasagnas together very quick work! How good does the finished lasagna look? This one pan will feed us for one dinner and several lunches, so it is a very frugal meal as well. The other pans are the Barbecue Meatballs from yesterday’s assignment, all ready for the freezer. Have you done any freezer cooking this week? Good job. That Chocolate Banana Bread looks so great and yummy. 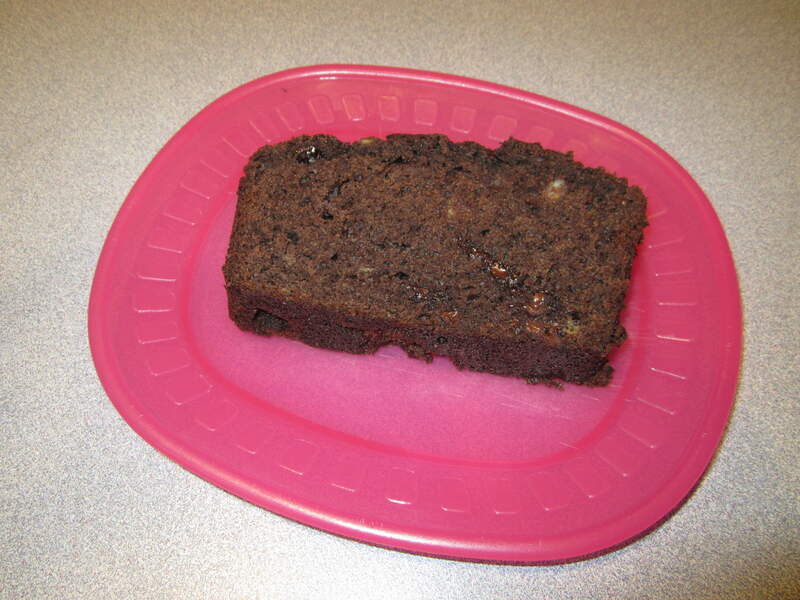 Have you ever tried chocolate zucchini bread? It is really good too. Looks like you got lots of freezer cooking done today. I haven’t…actually, I have never made zucchini bread, although my mom used to make it years ago when I was very little. Do you have a good recipe that you like? Looks great! I’m hoping to try this casserole soon. Oh, and your chocolate chip scones! It seems so simple! I love the Betolli pasta sauce too.